When Kevin Garnett shocked the world by announcing that he would not be attending college-as young basketball prodigies were expected to do-but instead enter the 1995 NBA draft directly from high school, he blazed a trail for a generation of teenage basketball players to head straight for the pros. That trend would continue until the NBA instituted an age limit in 2005, requiring all players to attend college or another developmental program for at least one year. Over that decade-plus period, the list of players who made that difficult leap includes some of the most celebrated players of the modern era-Garnett, Kobe Bryant, LeBron James, Dwight Howard, Tracy McGrady, and numerous others. It also includes notable 'busts' who either physically or mentally proved unable to handle the transition. But for better or for worse, the face of the NBA was forever changed by the prep-to-pro generation. 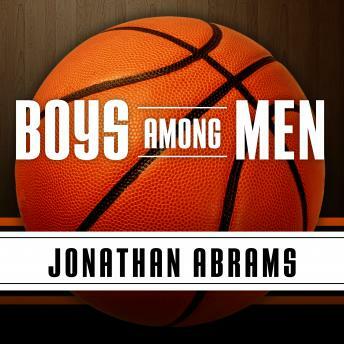 In compelling, masterfully crafted prose, Boys Among Men goes behind the scenes and draws on hundreds of firsthand interviews to paint insightful and engaging portraits of the most pivotal figures and events during this time.